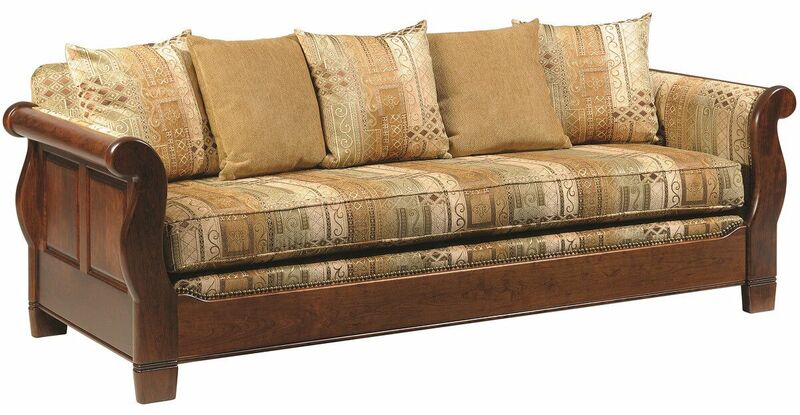 Rest against the pillows of our Wateridge Sofa where our woodworkers have crafted a beautiful sleigh-like design couch for you and your family to enjoy. Our Wateridge Sofa will bring the highest quality of seating preferred in the Wateridge Living Room Set, with rounded arms for the sleigh-style couch. Amish artisans will hand build with the finest solid hardwood and join together sections using a mortise and tenon method. High density foam cushions rest upon the nylon webbing proving a durable and comfortable support system. With this quality craftsmanship, this sofa will be enjoyed for years. 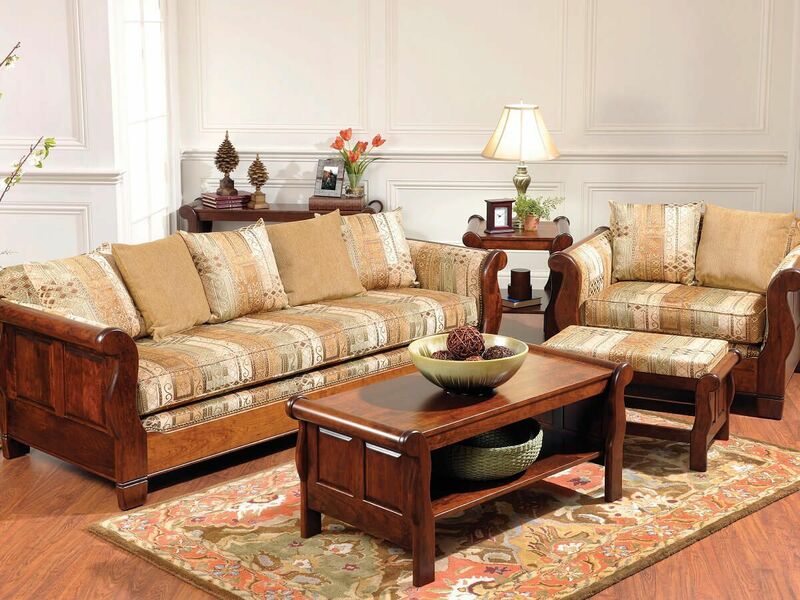 Fabric covering can be selected to your liking when you order your online furniture. For the base of your sofa, select which hardwood and stain you prefer, or you can order as pictured in Cherry with a Mediterranean Fig finish.